Frida Fever has swept the world of art and design. Her face is everywhere! Even if you don't know the woman behind the eyebrows, you'll almost certainly recognise her iconic monobrow and floral crown. Frida was a disabled woman who made herself into a walking piece of art, her home into a creative living space and bared her soul to the world by painting her emotional truths. Frida's disabilities left her housebound but that didn't stop her being the first 20th Century Mexican artist landing a spot in the Louvre with her masterpiece, 'The Frame'. Today she is an icon, a symbol of empowerment for women everywhere of all nationalities. Whether Frida would've been happy to see her face plastered far and wide today I don't know, but Frida mostly painted her self portrait so it's no wonder those inspired by her artwork, her politics and, her grit and determination devote some of their practice to adding to the world's evergrowing collection of Fridas. Last month I took a video tour around Frida's home, La Casa Azul (The Blue House), and showed you how to DIY Frida Kahlo's Bedroom. 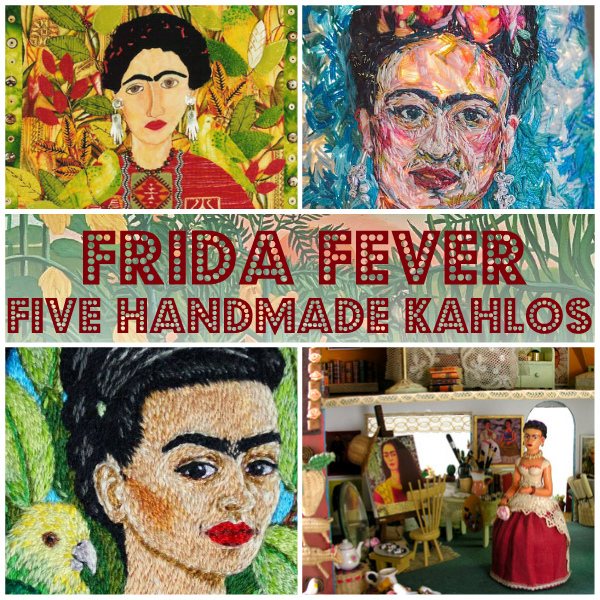 And, this month I've searched high and low to bring you my Top Five Handmade Frida Kahlos for you to enjoy! 1. 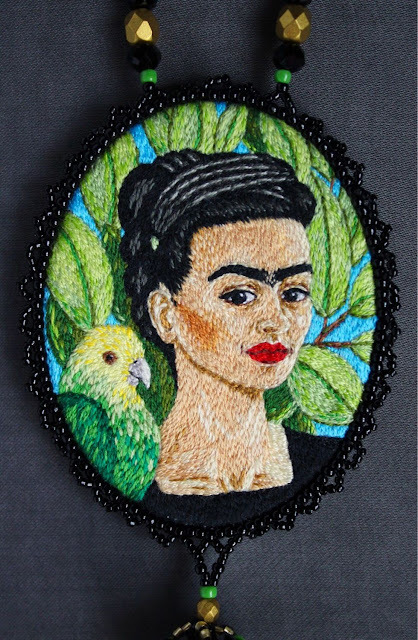 First up is this exquisite needlepainting of Frida's own 'Self-portraint with Bonito' by Katerina Barinova (Катерина Баринова). The stitches Katerina uses are around 0.5-2mm in size and her artistry blew me away when I spotted it. The portrait is around 7-8cm high and is a wearable piece of art, something I think Frida herself would've loved. Head on over here to see more photos of this outstanding piece. 2. Janet Ghio first created this beautiful rendition of the same self-portrait with Bonito as an art quilt but it has since been translated into a needlepoint canvas for you to stitch. This is such a vibrant design; the combinations of green and red really pop and I love how different Janet and Katerina's interpretations of the same self-portrait are! If you'd like to try your hand at stitching this you can pick up the canvas and threads from The Art of Needlepoint. 3. 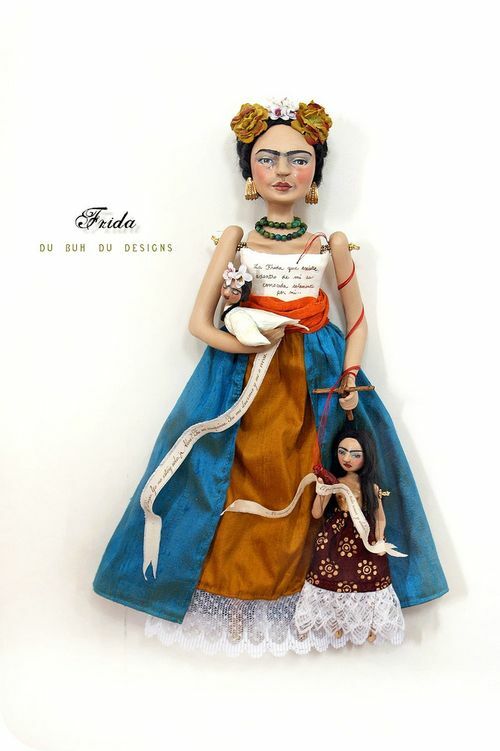 Christine Alvarado of Du Buh Du Designs has been creating art dolls since 2005 including a captivating series of Frida Kahlos. The symbolism of every aspect of these emotive dolls is explained on Christine's blog. This one is my favouite of the series though it was almost impossible to choose just one! The bird Frida's holding here represents her spirit; at times broken but on the mend and ready to rise above all that tries to bring her down. 4. 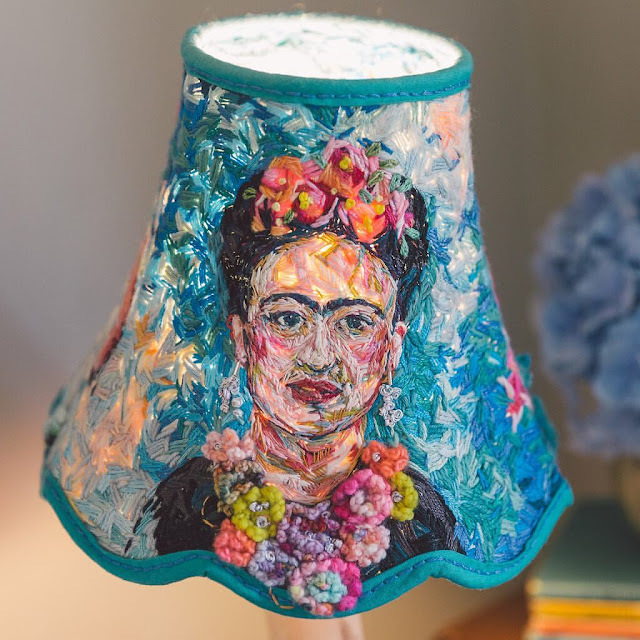 Since making my own lampshade I've been handstitch lampshde crazy so I was ecstatic when this brilliant shade lighting up a painterly portrait of Frida Kahlo by Marna Lunt popped up. The broad strokes created by the stitches in this piece are reminiscent of oil painting and Marna sees herself as a painter who uses thread as a mark-making medium. 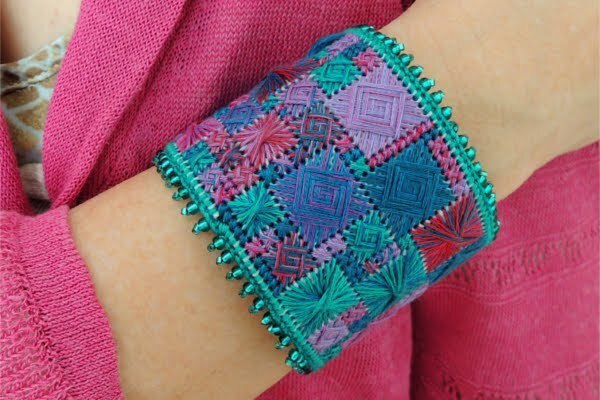 I love the texture she's created by stitching in different directions and different thicknesses of thread. 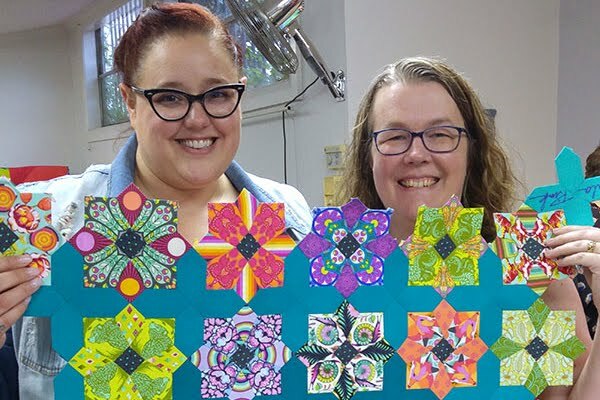 Learn more about Marna, her inspirations and processes in this wonderful and thought-provoking interview on Craftiosity. 5. 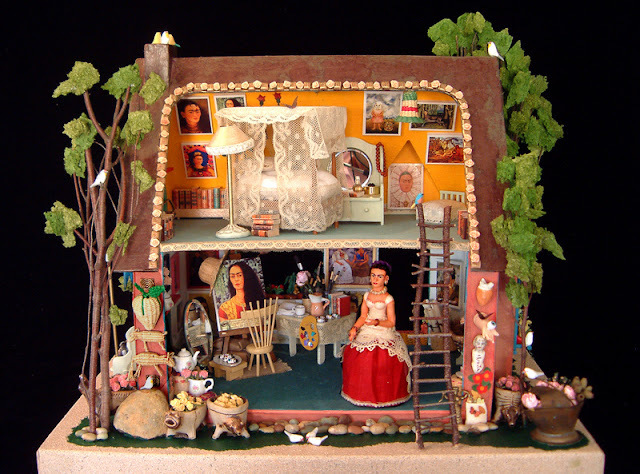 Elsa Mora made this dreamy dolls house so she could teach her daughter about Frida. There's something so moorish about miniatures and I love all of the touches Elsa's added, inside and out. I bet they've both had a lovely time playing with this! There's loads more pictures on Elsa's blog, it's well worth a closer look. That completes my round up of handmade Frida Kahlos from around the web! I hope you've enjoyed this as much as I have. Frida was a truly remarkable and talented woman who is being honoured in very beautiful, creative and innovative ways. Which one is your favourite? I'll be back soon with more stitchy adventures but in the meantime you can sign up to my newsletter. I can't promise it will be weekly but I can promise you won't regret it. Until then, have a fab, floss-filled week! 'A ribbon around a bomb' is such a fitting description of her work. 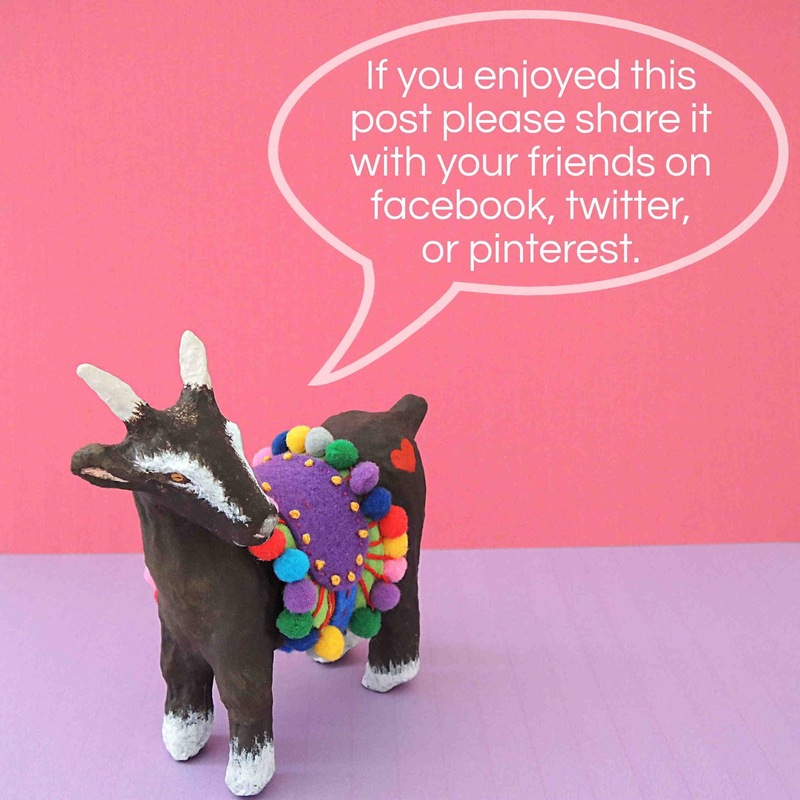 I'm so pleased you enjoyed the post. If you're interested in Latin American artists I was recently introduced to Violeta Parra, an embroidery artist and singer/songwriter who's definitely worth a look at. 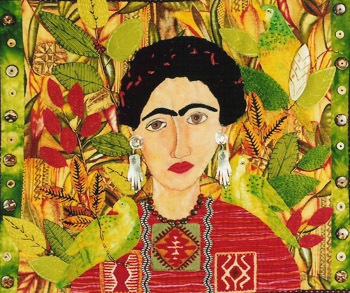 She created art to express the Chilean identity but also to express herself and her feelings, like Frida.